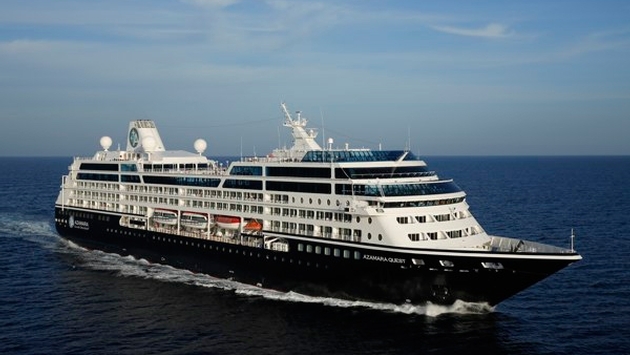 Not just calling at destinations, but truly visiting them, Azamara Club Cruises today announced the cruise line’s annual deployment for 2016. Azamara’s twin boutique ships, Azamara Journey and Azamara Quest, will take up-market travelers to some of the most intriguing locales in Australia and New Zealand, the Far East and Southeast Asia, the Arabian Gulf, and the West Indies, totaling 204 ports of call in 70 countries. Delivering more authentic experiences with the cruise line’s hallmark longer stays and more overnights in ports for night touring, Azamara Journey and Azamara Quest remain in port when most other ships have departed for the day. The ships will stay past 8 p.m. during more than 175 calls and overnight on more than 100 calls. Azamara also will take guests on new adventures in 2016, with 44 new maiden calls in Australia and New Zealand, United Arab Emirates and Oman, Europe and the West Indies. Guests also can choose unique, intimate and immersive experiences through Azamara’s new Insider Access and Nights and Cool Places Land Discovery (shore excursion) programs. Azamara Club Cruises’ 2016 full-year, destination-immersion program is now open for bookings. Azamara Quest will then sail three voyages throughout the Far East on 13- and 16-night itineraries that visit intriguing destinations throughout Japan, China, and Southeast Asia. The ship will then transition in April to the Mediterranean on a fascinating voyage spanning the Far East, the Arabian Gulf, and Aegean Sea, arriving in Athens (Piraeus), Greece, on May 17. In the Arabian Gulf, travelers can join Azamara Journey in late 2016 for an exclusive 1,001 Arabian Nights round-trip Dubai voyage – a 10-night itinerary that explores some of the most exciting new cities in the region, featuring overnight stays in Dubai and Abu Dhabi in the UAE, and Muscat, Oman. Combined with visits to Qatar, Bahrain and Khasab, Oman, guests have the opportunity to deeply immerse themselves with the many attractions in this region – from the new Guggenheim, Louvre and Zayed National Museums in Abu Dhabi – set to open in 2015 and early 2016, to the desert fjords of the Musandam Peninsula. Azamara’s longer stays and more overnights also provide guests the opportunity to dine at some of the world’s finest hotels in the region, such as the Burj Al Arab in Dubai and the Al Bustan Palace Hotel in Muscat. Azamara Quest will then ply the North and Baltic seas on a series of Northern Europe voyages, the peak time for experiencing the White Nights in Copenhagen, Stockholm and some of the most romantic Hanseatic cities in Germany - Luebeck and Rostock. Guests on the popular annual British Open voyage, sailing July 11, will visit charming Isle of Man and Guernsey, as well as popular favorites such as Dublin, Belfast and Waterford, Ireland. The highlight will be a visit to the Championship finals of the British Open in Scotland at the Royal Troon Golf Club. The ship’s Nov. 11 voyage will then span three continents, crossing from Athens to South Beach with stops in Tunis, Tunisia and Huelva, Spain – gateway of Christopher Columbus to the West Indies – and cross the Atlantic to St. Maarten and the British Virgin Islands. Throughout the spring and winter seasons, travelers also can take in the vibrant colors and cultures nestled among the Caribbean, The Isthmus from Panama to Mexico, and Baja California to Los Angeles. Azamara Journey will take guests on 10- and 11-night West Indies voyages, roundtrip from Miami, to visit idyllic islands that combine modern chic with colonial charm. In February, the ship will transit through the Panama Canal by day to the Pacific and provide guests the opportunity to explore to the rain forest of secluded Osa Peninsula in Costa Rica; the colonial city of Antigua, Guatemala; the Cerro Verde National Park in El Salvador and the lovely beaches of Huatulco, Puerto Vallarta and Cabo San Lucas in Mexico. Travelers can choose to combine these voyages into an exciting Extended Voyage of 33 nights from Miami to Los Angeles, departing Jan. 27 or a 36-night return voyage on Feb. 29. For its part, Azamara Quest also will sail eight- to 12-night West Indies voyages from Miami starting in late-November. On a holiday voyage, sailing on December 27 from San Juan, Puerto Rico, guests will herald in the New Year in Virgin Gorda, B.V.I.